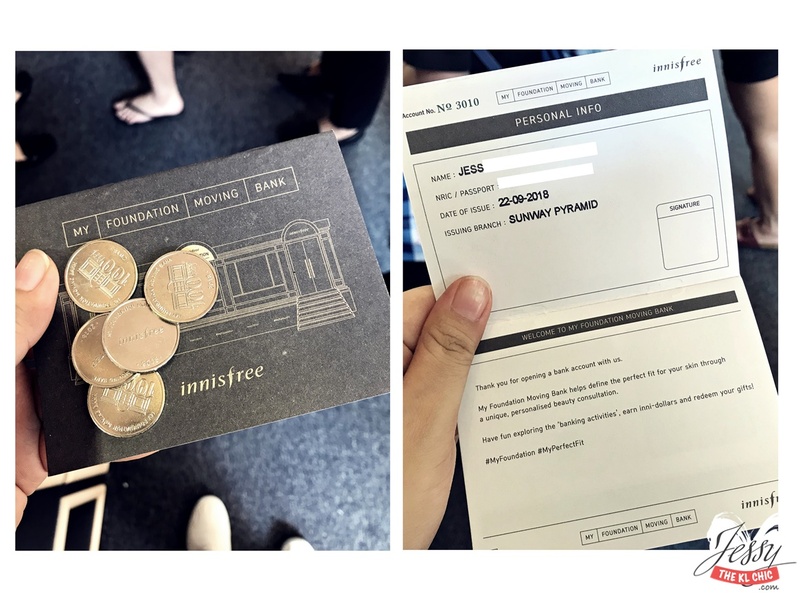 Couple months ago, I announced that I was freezing my fat (Check out the first post here). 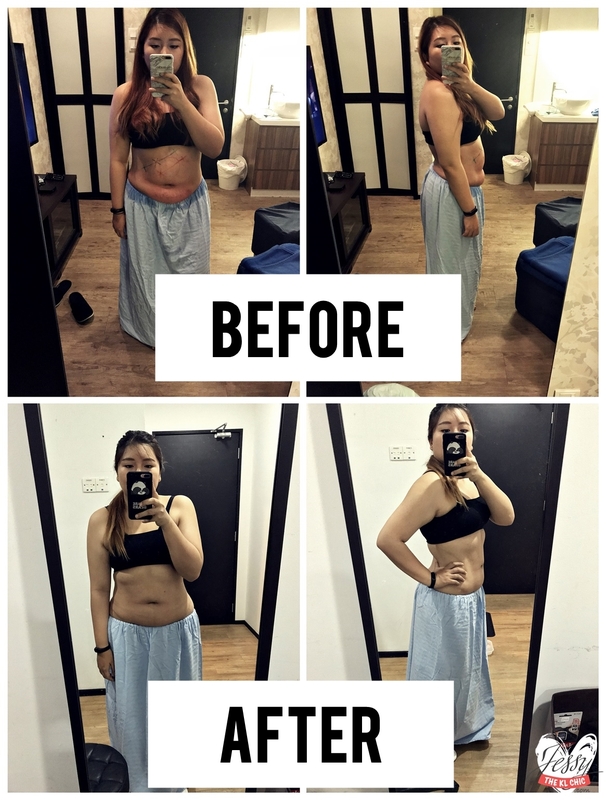 So, here is the low down on how my fat was frozen and the outcome. First let me explain, CoolSculpting Treatment at Clique Clinic was where I went to freeze my fat. Why freeze fat? Ever got a place or a bulge of your body part that you can’t seem to lose weight on? For me, it was the lower part of my tummy (Abdomen). So I did explain the pre consultation details at the previous blogpost. Go read there if you would like to know how would they examine you. So for mine, the CoolSculpting treatment focused on my tummy. I didn’t want to drag it, so I actually requested to do all of the treatment in a day instead of spreading it out. In total I think, I spent 6 hours at Clique Clinic. Don’t worry, Clique Clinic is equipped with Netflix, fast wifi, private room and ensuite bathroom during the treatment and also a comfortable reclining sofa. I reached Clique Clinic at 10:30am. The staff brought me upstairs to my room and I got a change of clothes. 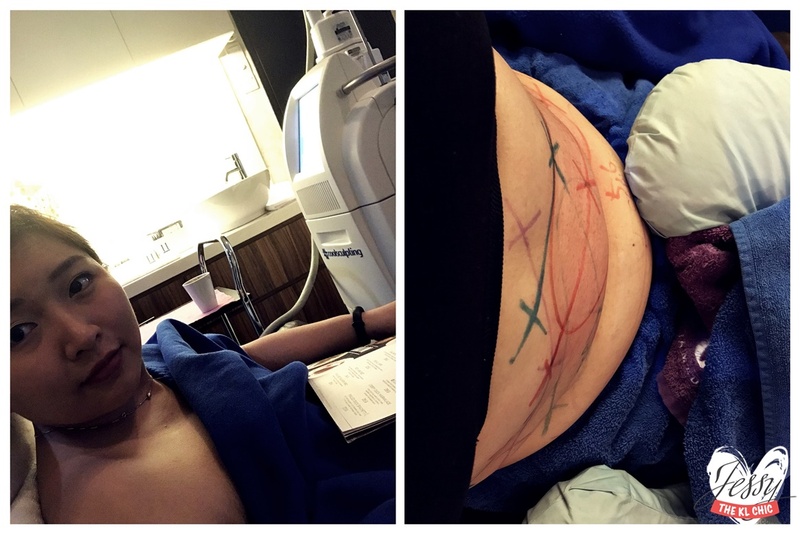 They then proceed to draw the markings on my tummy to indicate where to place the CoolSculpting applicators at. As you can see from the picture above, there was a lot of sessions I went through. Each session was around 35 minutes. To make it quicker, they used 3 machines simultaneously on me to make sure that they had targeted the fats surrounding my tummy in the shortest treatment time possible. The reason why I went for CoolSculpting, is because it is a non-invasive fat reduction treatment on targeted areas. It helps to contour your body by freezing unwanted fat without any surgery. Freezing the fat causes the body to remove the dead cells, which later naturally eliminate from your body. There are multiple applicators with different sizes to target the wanted area of the body. I think the clinic used all the different types of applicator on me. Applicator like CoolAdvantage Petite is used for flanks, inner thighs, or upper arms, while CoolCore Advantage is mainly for the bigger areas like tummy. FYI Clique Clinics is the only clinic in Malaysia that has a full-range and complete set of all CoolAdvantage applicators. The picture above is the applicator attached to my tummy. 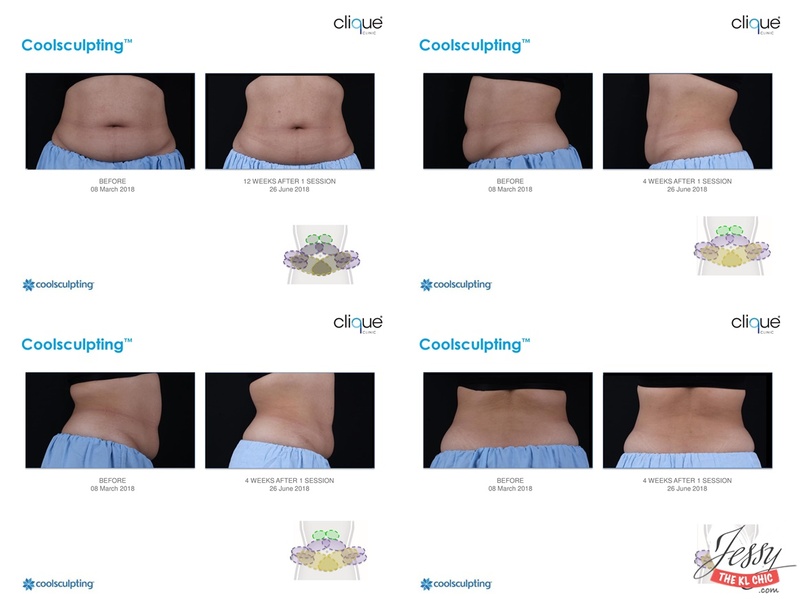 During the process, the CoolSculpting specialist placed the applicators at the treatment areas where the fat bulges were tugged in, and then frozen. After 35 minutes, the staff immediately removed the applicators and massaged the treatment areas. Let me tell you, you might feel a bit of pain during this process. Reason for the massage is to make sure that your fat is broken down even more after the 35 minutes of freezing. My treatment areas were a bit swollen and sore after the treatments since I did everything in a day. But it didn’t affect my daily activities as I went back to work the next day itself. During the treatment I was pampered with Netflix and a complimentary meal. My waist got smaller, the abdomen got smaller too and I got less back fat now. 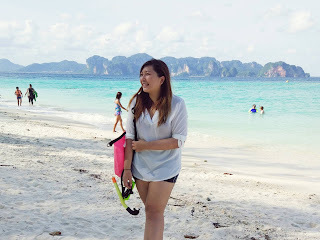 I’m really glad that I got a chance to experience CoolSculpting Treatment as my lower tummy had always been a problem and it was hard to lose it. Just know that the results might take from 1 to 3 months to show. Make sure not to over eat after your treatment and just do you normal routine. Overall this experience made me feel comfortable as the staff were friendly and explained all of my concerns and inquiries. Clique Clinic now have two branches! Yes, you read correctly. Hey guys, hope you’re doing well. Have you ever wanted to modify a specific part of your body? Like no matter what you do, with dieting or exercising, somehow, that stubborn part just won’t budge. For me, my main stubborn fats are my lower part of my tummy (abdomen) and my arms. A few weeks ago, I had a change to visit Clique Clinic, which introduced me to CoolSculpting. Do know that this is NOT a weight loss program. What CoolSculpting is, like the title of my blog, is to freeze unwanted targeted fat away. So I made my way to Petaling Jaya where Clique Clinic is and met with The Body Contouring Specialist, Josh Chua. During my consultation, he explained to me the benefit and side effects of CoolSculpting. He also warned me how there are some centres in Malaysia that offer the copycats of CoolSculpting that is not licensed or using the real machines from the CoolSculpting Brand. Copycat/fake machines will potentially cause serious harm to a person, like frostbite and burn that can be a long-term side effect. So, look for the certified Zeltiq CoolSculpting clinics if you are considering this treatment. So let me break it down for you, from what I understand. CoolSculpting is a machine that is used to target a specific spot of your body. During the treatment, there would be a gel pad and applicator placed on the desired area. The applicator uses vacuum and delivers controlled cooling (-11c for CoolAdvantage applicators). After 35 minutes of a session, there would be a massage. During this process, he told me that there would be mild pain from the pinching, soreness and cold. He also told me that there might be bruising an d swollenness after the session. He also mentioned that it would take 1-3 months for the results to show. Here is how the applicator looks like| I will blog about the process with results in my next post! 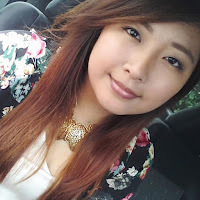 To be honest, I have actually been wanting so badly to fix up certain areas of my body, but I don’t believe in going under the knife or injections. So when I heard about this, I was thrilled because it was non-invasive! After the consultation, they need to access my body to see if I was qualified to go through with the CoolSculpting procedure. Remember how I said that this isn’t a weight loss program? Well, you need to make sure that you have pinchable fat. So if you have a beer belly that you can’t pinch, do know that this procedure might not be the right one for you. So do know you can target under your chin, bra fat, back fat, abdomen, flank, banana roll (underneath the buttock), thigh, upper arms and etc. After the pictures, they would see which applicator could target the desired areas and also draw markers on my body to know which part to place the applicator on. Of course they also had to check if my fat were pinchable. After 15minutes of marking me, here was the result. 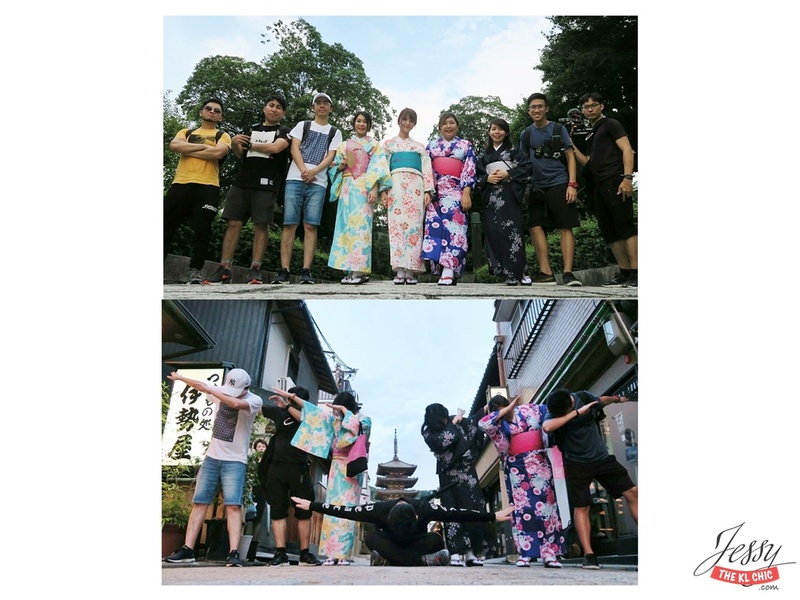 It was late August when my friends (MacamYes) and I were at Japan for a video shoot. 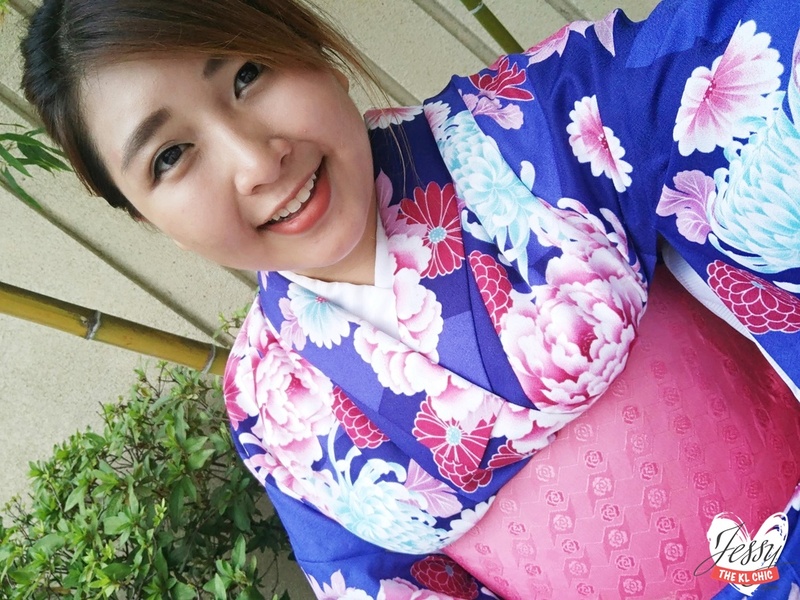 We had to rent a Kimono and I didn't realise how hot Japan was during the summer until that day. 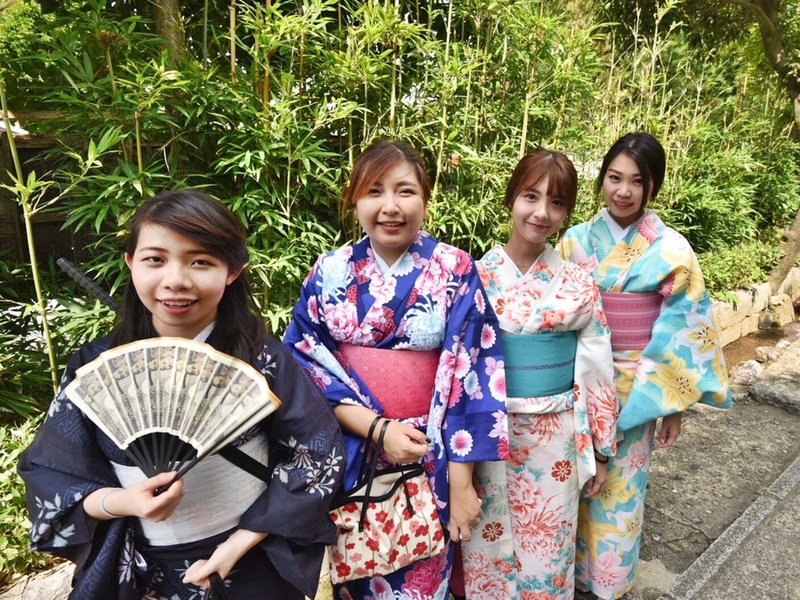 Most of us want to experience the culture of a new country we visit, for Japan what more than to experience wearing a Kimono / Yukata for a day? 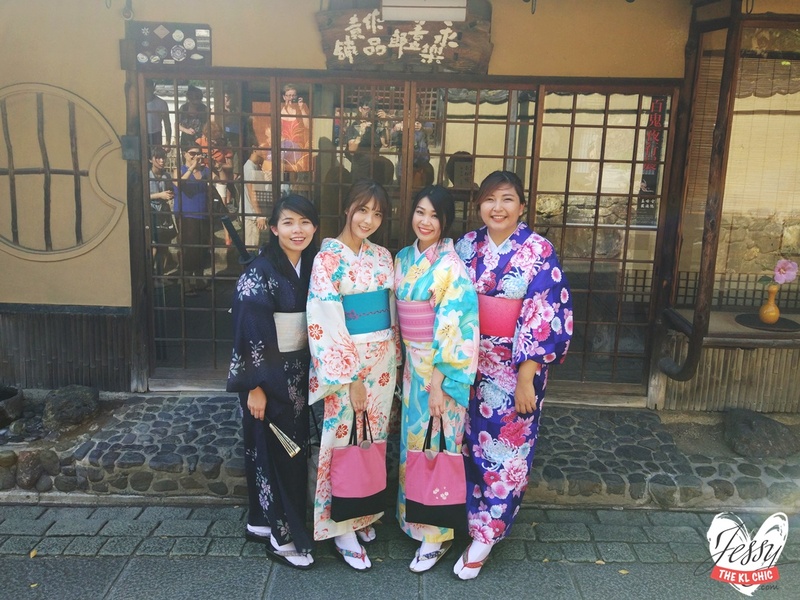 Just wanted to share my experience here of renting a Kimono in Kyoto Japan because when I was searching for about this online, no one actually talked about the process of it. 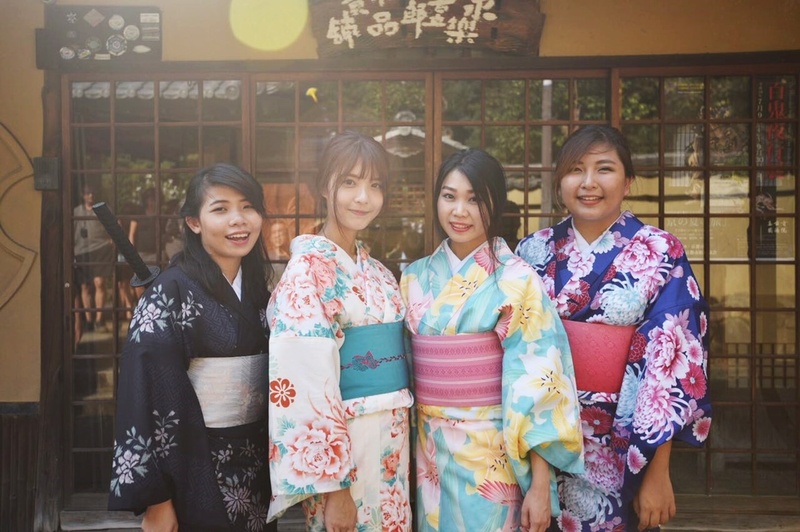 I got to find out about Kimono / Yukata rental at Yumeyakata on Klook when I was purchasing my Universal Studios Japan (USJ) and cooking class activities for Japan. 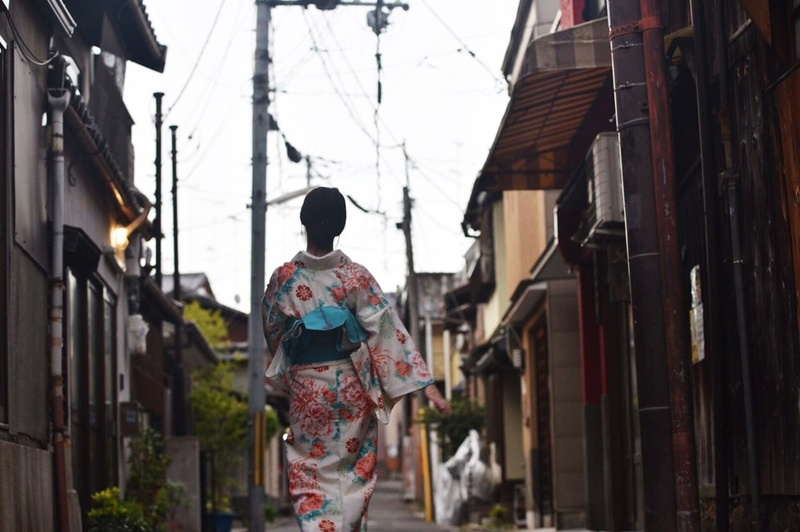 So if you're planning to rent a kimono, make sure you allocate minimum an hour for yourself at the kimono rental place. 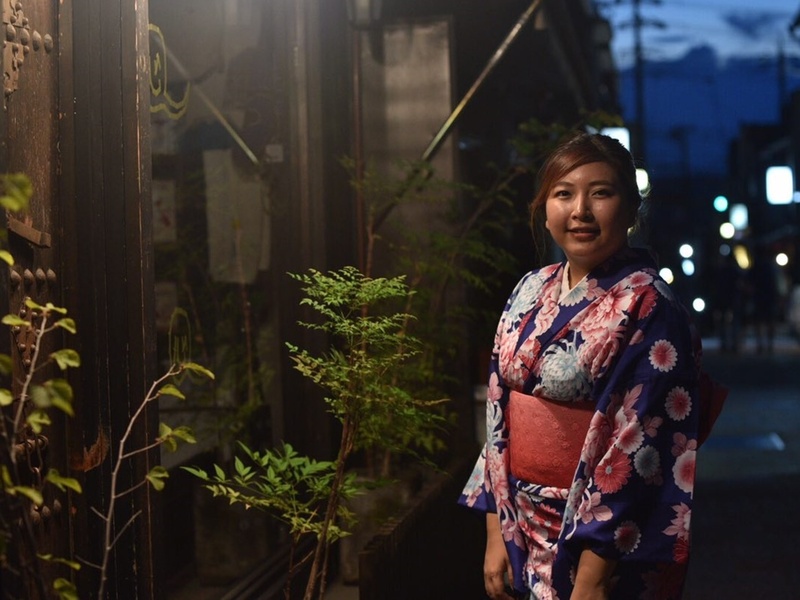 It took us a while to get to Yumeyakata at Kyoto because I took the wrong route there from Osaka but do know that the store is 3 minutes walk from Gojo Station. 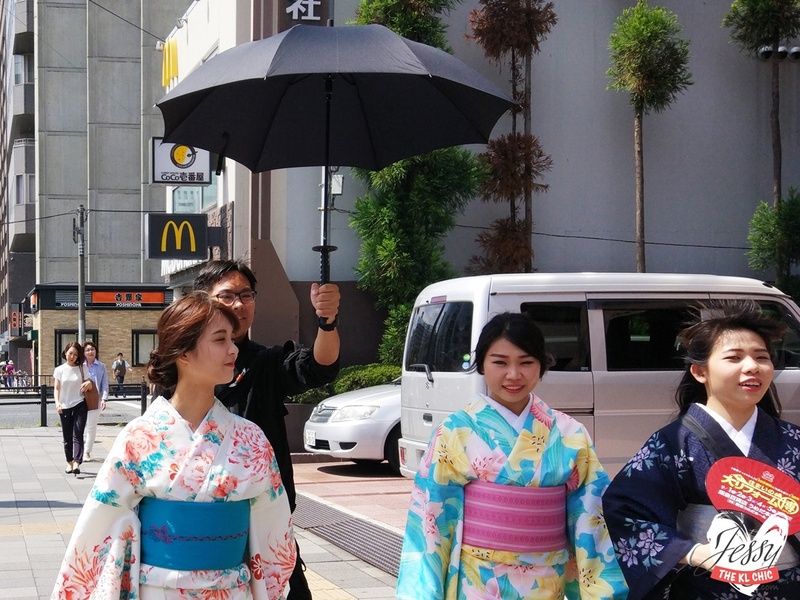 Yumeyakata Kimono rental is one of the biggest and cheapest store you find in Kyoto. 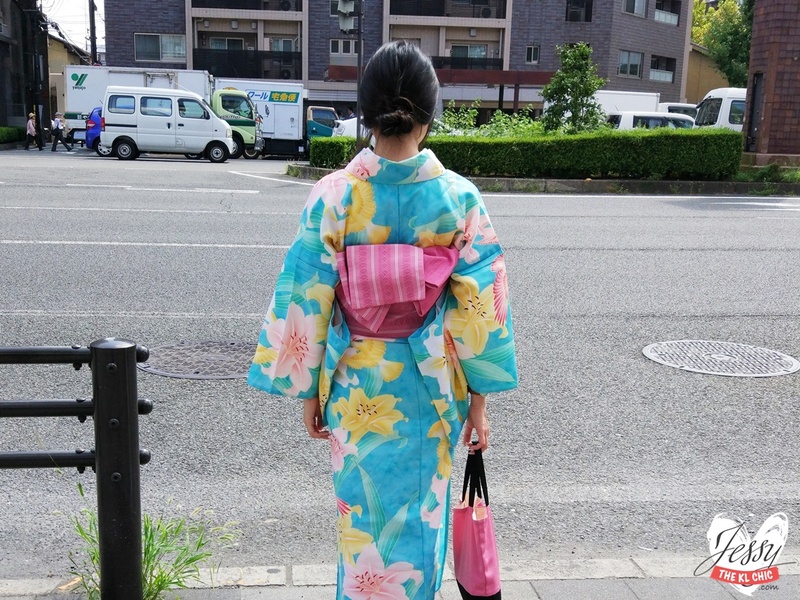 Do know that it will be very crowded, so its best to head there as early as possible, especially when you want to have the best choices for your kimono. 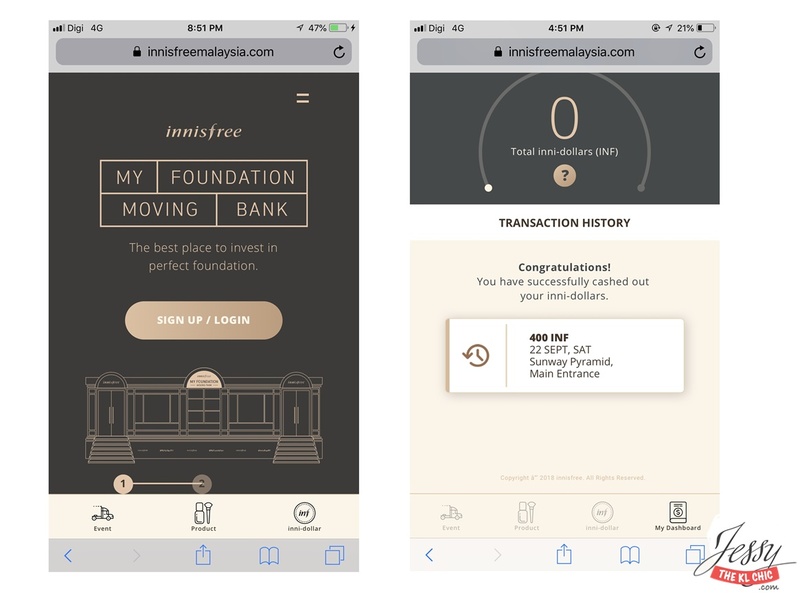 Make sure that you reserve before you drop by to the store. You would need to state the day and time of visit to the store, your shoe size and height. TIP: Do know that you might have limited selection if you are taller or bigger in body size than the average. I too had to choose from limited selection when I was there. 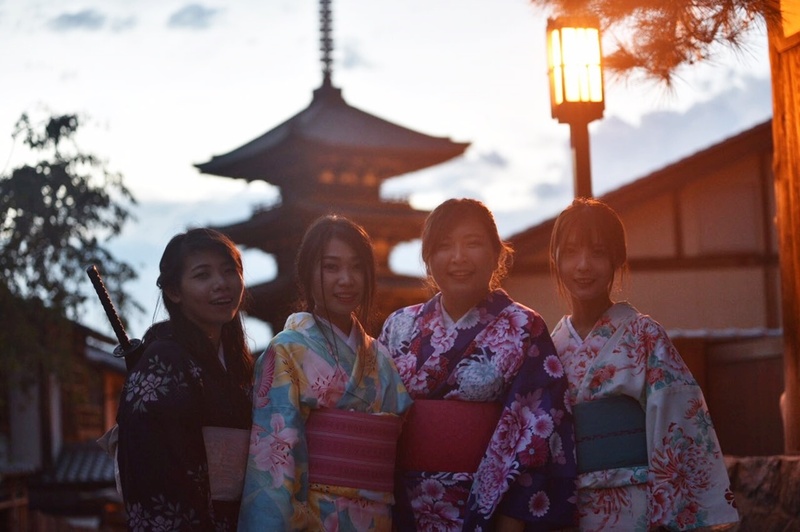 Once you have checked in at the reception, you get to do the fun part now, choosing your kimono. Do know that Yumeyakata have multiple floors. 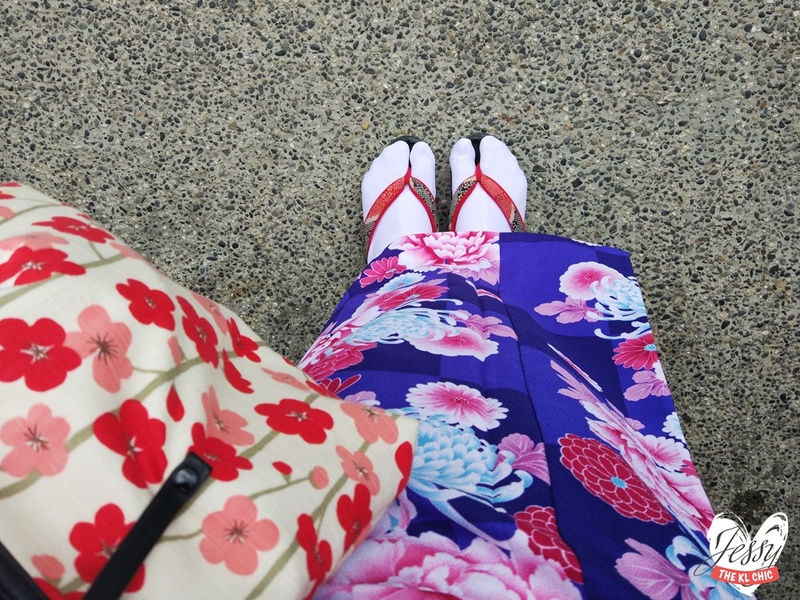 If I'm not wrong, its at the highest floor when you are mixing and matching your obi belt with kimono. 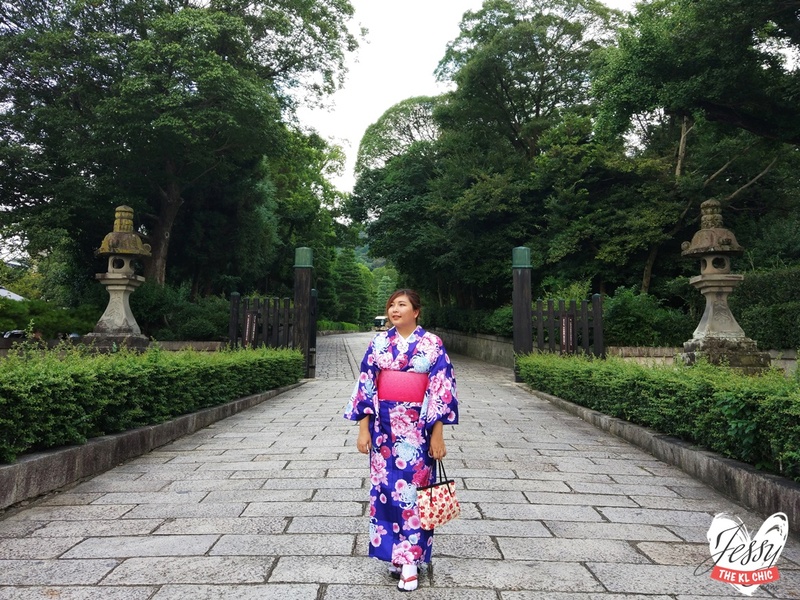 One step into the the room of choosing my kimono and I felt like I was at Kamdar Store (A Malaysian clothe wholeseller brand). Okay I WAS NOT READY FOR THIS. Haha. I'm quite shy and self conscious. So I wish, I prepared myself mentally for this. 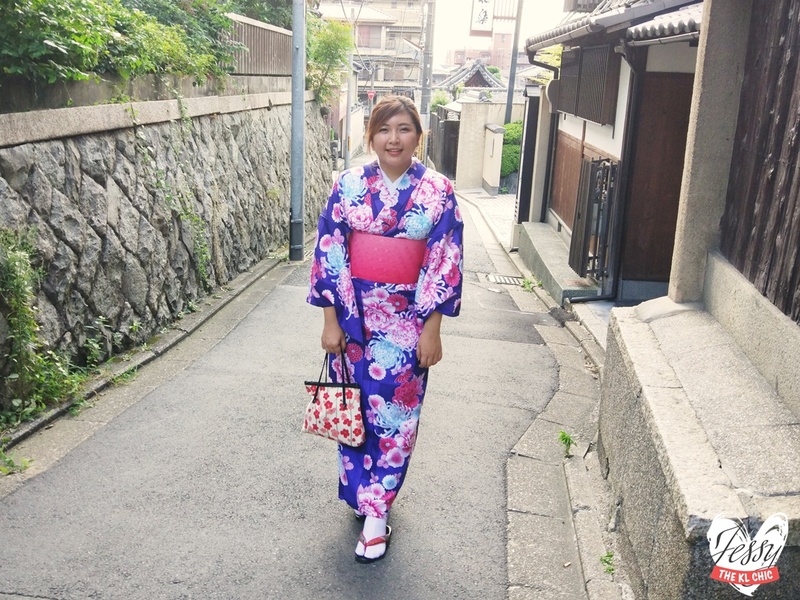 After you have chose your kimono, the staff will bring you to another floor where you will enter into a hall. This hall is where you will get changed by one of an elderly lady. Do know that you are changing in front of a giant mirror and there isn't any partition. You just strip down to your underwear and let the ladies dress you. 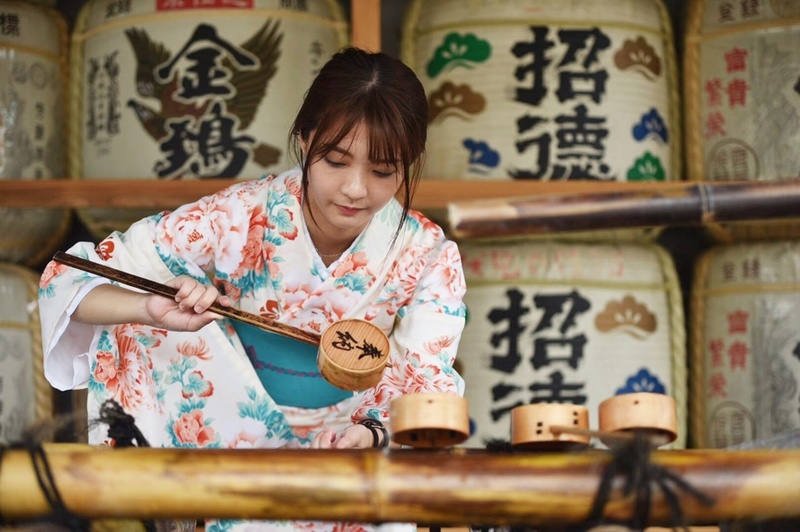 They will be a bit rough as they need to make sure that your kimono is tighten up so that it would not fall apart when you are out and about. Did you know that they will place a cardboard at your tummy? So expect to not be having any flexible moment for your upper body. 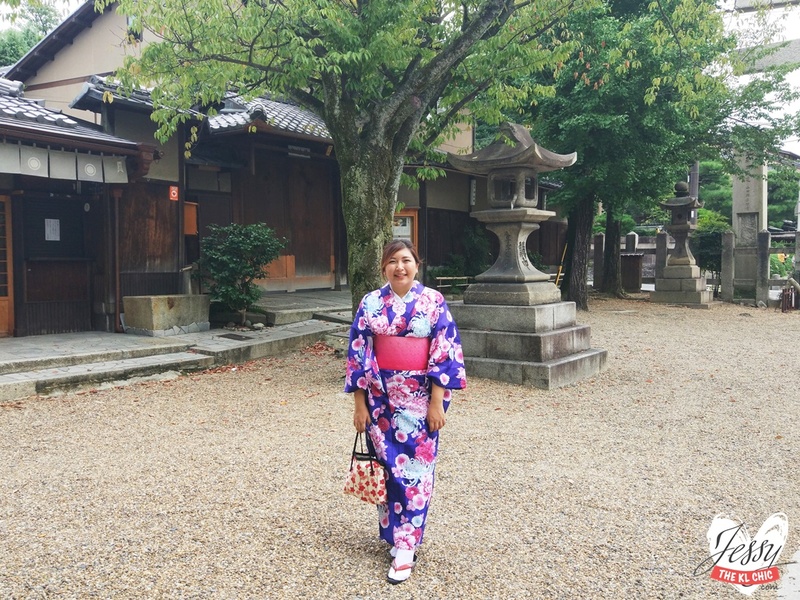 ALSO I don't recommend pregnant women to wear kimonos because its super tight at your upper body. So Yumeyakata has this extra option if you need hairstyling or make up. Thank goodness I had Jaycee, she helped with my hair and I did my own make up. We had a selection of bags to choose from, we also got our shoes and socks at this section. If possible, try not to bring so much stuff on that day. If I'm not wrong, all of us rented a locker at the place to place our bags inside. GUYS! 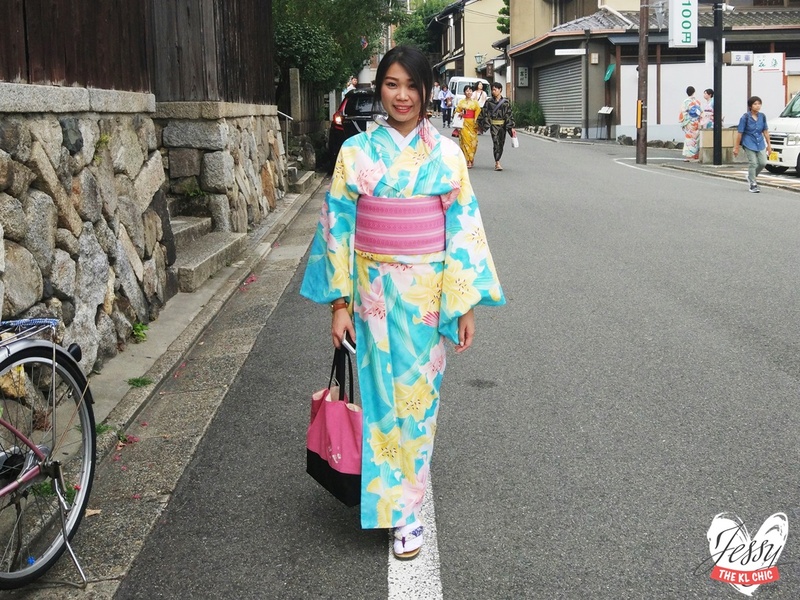 Kyoto is a big place and the kimonos weren't easy to walk in. Just make sure that you allocate time to come back from whereever you were. 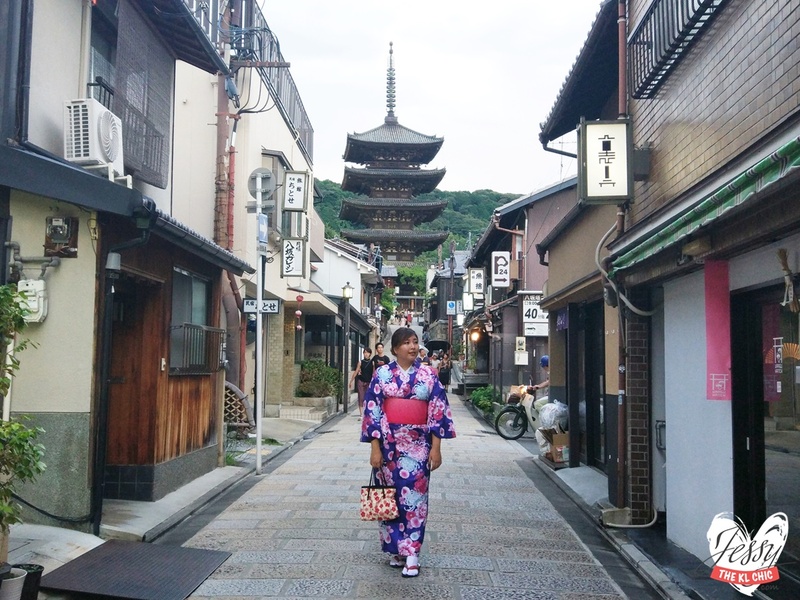 My last spot I was at was at Yasaka Pagoda and to walk back to the store is almost 20-25 minutes. We tried to take the bus but there was a long queue, so we opt for a cab in to make sure that we got back to Yumeyakata in time to avoid paying the late penalty. 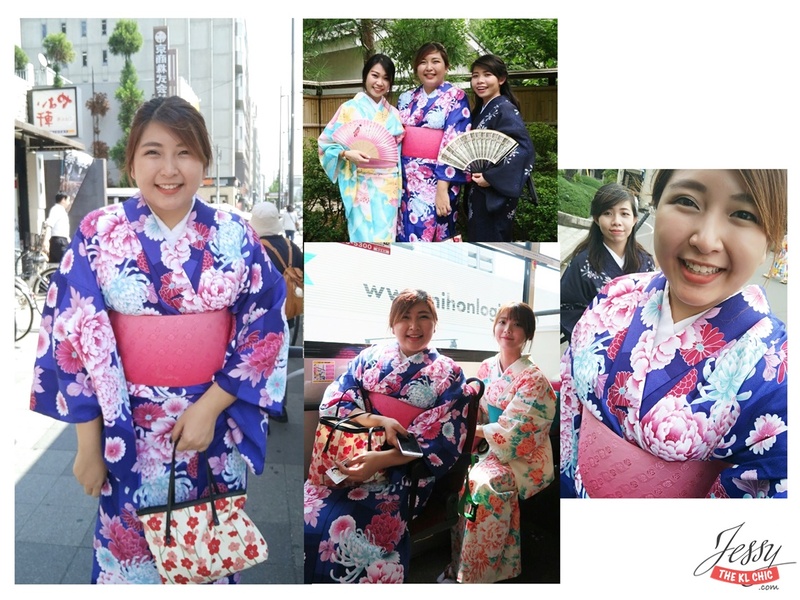 Despite the heat and uncomfortable sandals, it was a great experience wearing the kimono. 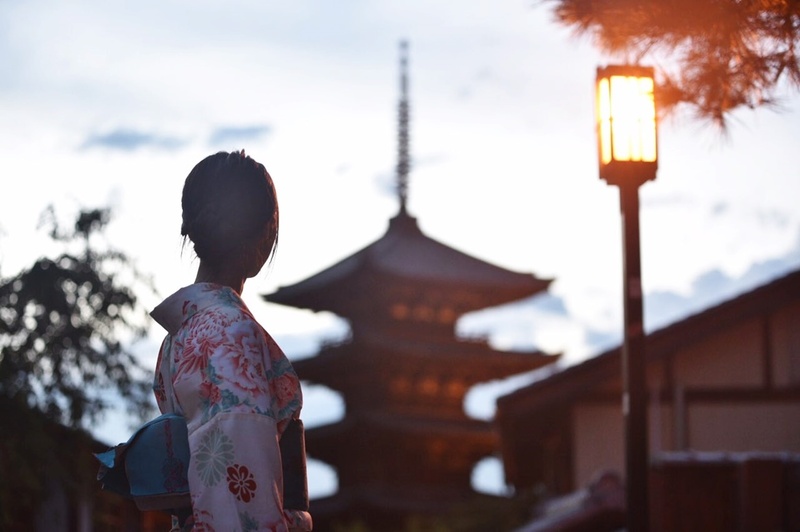 I got to take nice pictures while exploring Kyoto and it was just one of those things you just gotta try. 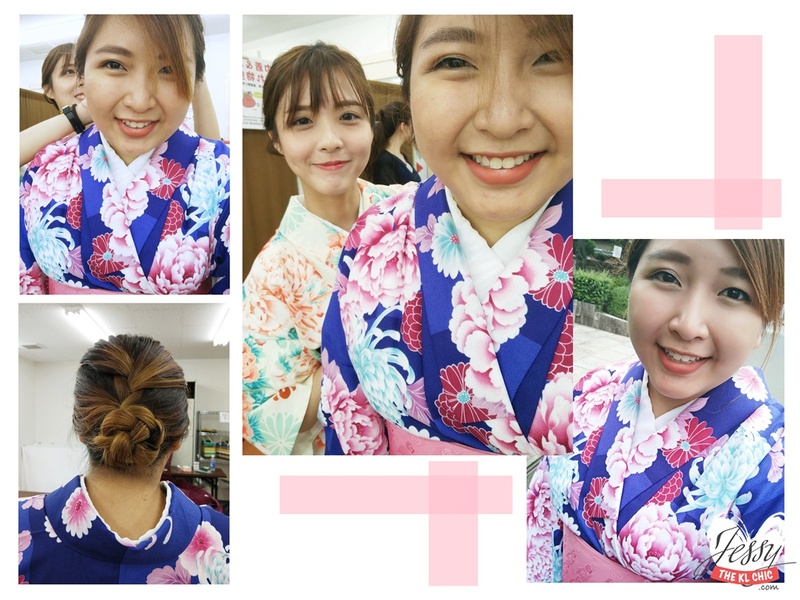 Right now Klook is selling this Kimono Rental for RM 105 per person. Disclaimer: This is not sponsored and pictures were taken in August 2016. 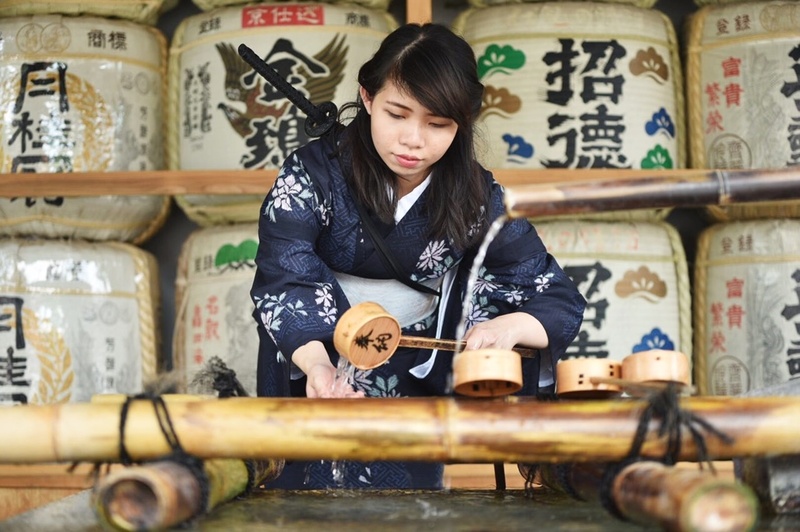 For more read up on JAPAN, do press here.